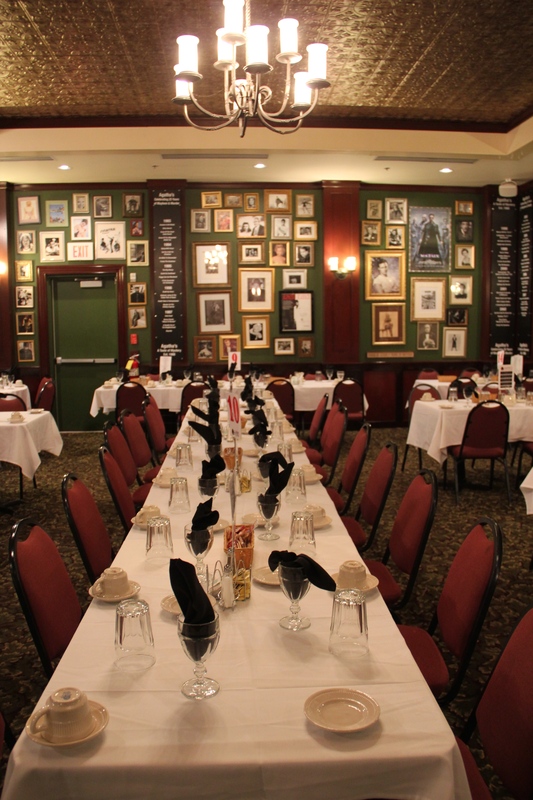 Agatha’s is a murder mystery comedy dinner theater located in downtown Atlanta. When dining out to the same places becomes such a bland and static routine, add a little spark to your dish. Let murder mysteries and Shakespeare’s sonnets take you on a wild ride throughout the cultures of history. 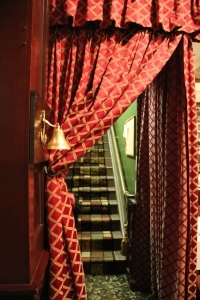 Diners are given a new name when they enter into the restaurant. During the mid-1980’s, murder mysteries were booming and becoming the new “it” trend. Because of this pop-cultural change, numerous mystery theaters were created. One in particular was created right here in these buzzing Atlanta streets. ‘Agatha’s: A Taste of Mystery’ opened up across The Fox Theatre during the ’80s and stayed in this location for up to nine to ten years. Currently, however, it resides in downtown Atlanta. So what makes this Atlanta hotspot so unique? 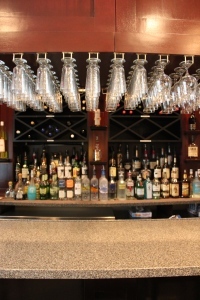 What aspects of it create a different vibe for customers that other restaurants don’t offer? The method that the restaurant uses is more interactive based than the audience simply eating their meal and watching actors preform. As soon as a customer walks in, they become part of this entire rouge. In a way, they become an actor. There is no actual stage. The actors use the entire restaurant as their stage. They like to interact with the audience and move around the tables. The method that they use to achieve the best connection with their audience is they never eat while watching the show. Another beneficial aspect that visitors can gain from this restaurant is that friends are easily obtained. The way that the seating is set up makes it simple for strangers to get to know each other and develop a friendship. The reactions that Agatha’s receives from it’s customers is a sheer indication of how impactful this creative experience is on them. Many people don’t have an idea of what to expect when first entering but are pretty clear after leaving of what an adventure it truly was. “A lot of people say, ‘well I’ve been to a murder mystery before or I’ve been to a dinner theater before but never one like this.’ We hire the funniest, the best improvisers and actors in Atlanta. You’re coming to see them perform with you because you also play a part in the show,” Girard said. 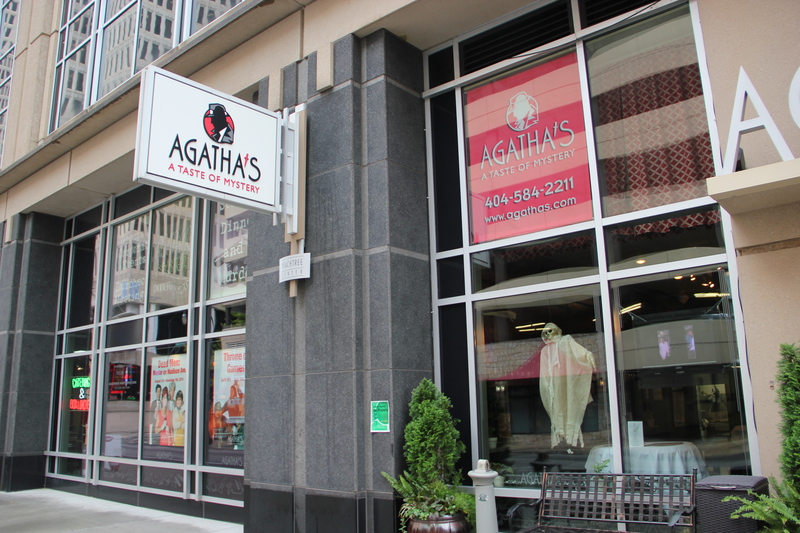 Agatha’s has one goal for their audience. Diners come to the restaurant to eat and watch the actors perform. To dine or not to dine, that is the question! 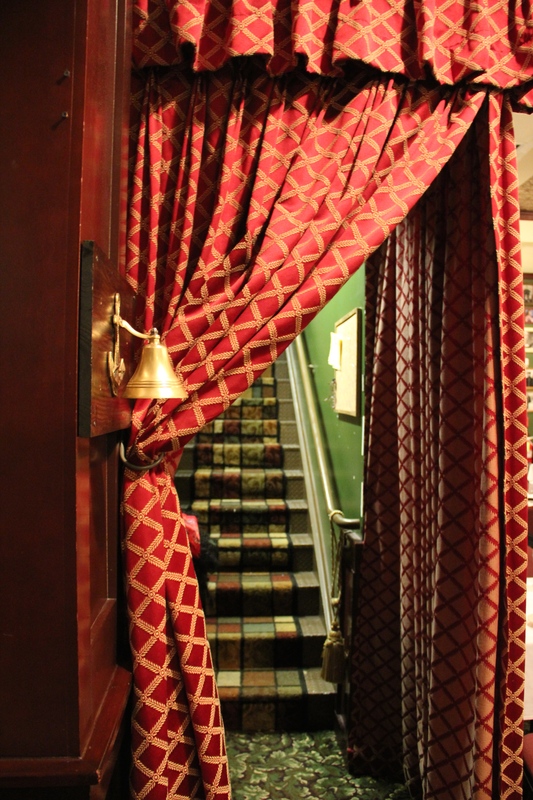 Nowhere else in Atlanta are you able to find a place that offers an Elizabethan experience while having dinner with loved ones. The New American Shakespeare Tavern was created almost 30 years ago and has been located on Peachtree Street for about 24 years. This establishment differs from any other playhouse because they try to recreate William Shakespeare’s plays almost identical to the way he preformed them in his time. They also strive to create the best relationship between the actors and audience. This Shakespeare Tavern is becoming such a prominently featured establishment that people from around the country are coming to take part in the experience. They are so original and rare, people are automatically drawn in. “On any given night, I would say its about 50 percent new people that haven’t been to the Shakespeare tavern before,” Willis said. Unfortunately, Georgia’s Shakespeare community is going under. Especially with today’s economy, many other playhouse theatres are having to close because they are being funded by the government. 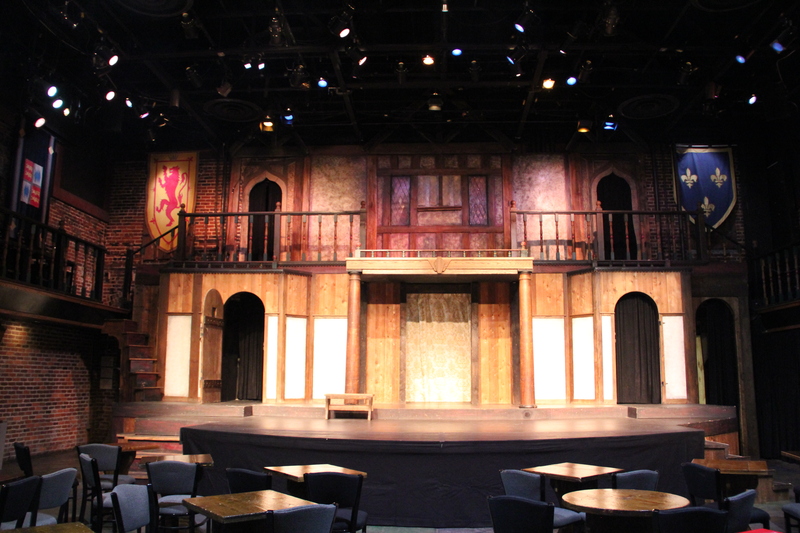 So how is The New American Shakespeare Tavern staying afloat? The tavern appreciates their audience and owes them a lot for what they have achieved during these past years. They use this appreciation to create the motto that they like to follow. “Our goal is to have a direct communication between actor and audience. The audience is our most important business model. They help pay for everything that we do,” Willis said. Currently they are in development to expand their building. They are hoping to stretch the residence that they are in right now a couple buildings down the block. This will allow them to have a substantial increase in theatre stage space and allow them to develop a more impactful outer view. All in all, what is the main reason to pay a visit to this inventive, artistic founding? Besides having a “half-price pint night” every Friday where a person can receive a pint of beer for $2.50 and foods that were common around this time like Sheperd’s Pie, Cornish Pasty or even The King’s Supper Sandwich, Willis adds another great point as to why people should come get in touch with their Shakespearean side. “I would say we are a unique experience unlike any other theatrical experience that they have had. I don’t consider a dinner theatre, but you can have dinner and then watch some theatre,” Willis said. Both of these places have their own twist on imaginative ways people are able to spend their Atlanta nights. They make you want to ditch the old, basic restaurant that you usually visit and take a stab at something more dynamic. So ditch that easily accessible Chinese or Southern restaurant right down the street and dive in to some exciting cuisine that offers a side of culture.